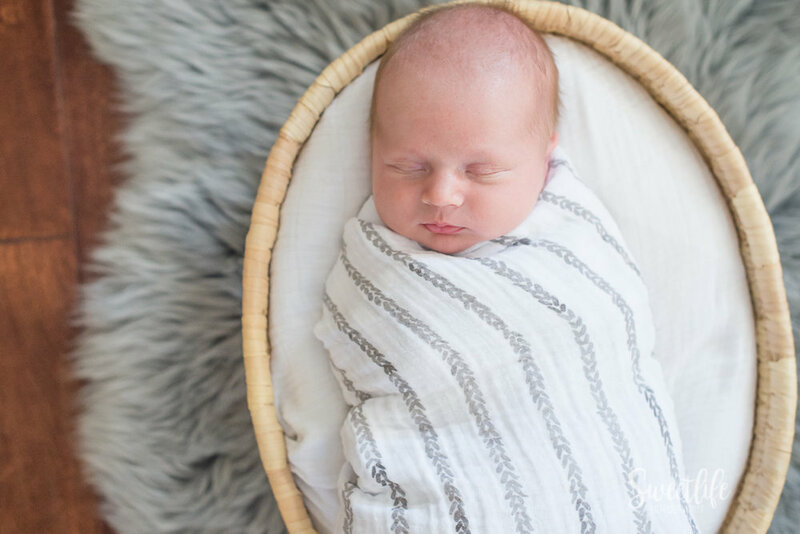 With so many options in the newborn photography world, how do you know which session type is the right fit for you? In today's blog post, I'm talking all about studio newborn portrait sessions and how to know if that's the right session and style for your family. 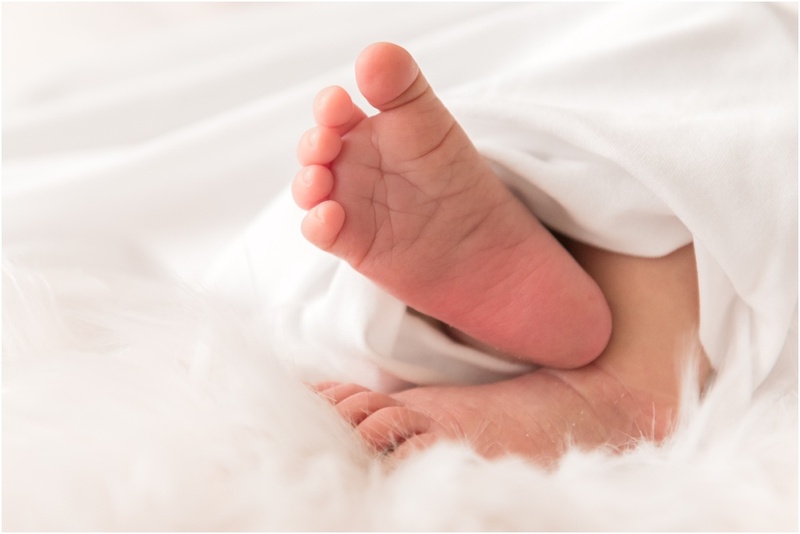 I offer three types of newborn sessions -- studio sessions, lifestyle session in your home and Fresh 48 sessions at your hospital or birth center. Each one tells a different story, and offers a different perspective and style on newborn photography. Some families choose to do just one session, others do a combination of two (typically a Fresh 48 and then either a lifestyle or studio session), and still some Mama's do all three! Fresh 48 session are natural, raw, and filled with emotion. They are a peek into those first 24-48 hours of meeting your newborn baby and are simply magical. Sure, the hospital decorating choices might not be the most stylish place for photos and yes, you're going to be (and look) exhausted because you just delivered a baby but these are moments you will never get back but will always cherish. Check out my post about why you might want to consider hiring a Fresh 48 photographer. Lifestyle (family) sessions are a relaxed, intimate story telling session that provide a peek into life with a new baby, at home. I guide you into natural poses -- sit together on the bed, move in close, look down at your baby. But the vibe is calm, relaxed and casual. I toss in some documentary shots of those sweet in between moments of soothing, breast feeding (if you choose) and diapering because that's REAL life with a baby. Big sis, big bro and of course those furry family members are also included. Check out my post about lifestyle sessions to see if this might be the best fit for you! But today, let's chat about studio newborn sessions! Here are a couple things to consider when deciding if a Simple newborn studio session is for you. If these facts resonate with you, then a Simple newborn studio newborn session if probably the best fit for you! 1. You just don't think you're home (or you) are photo ready. Girl. Listen, Mom to Mom...I get it. Housekeeping and Mom-keeping is not always at the top of the list once baby is home. But don't sweat it. You are in the journey of a lifetime. Motherhood is no joke and those menial tasks should never weigh you down. I created my Simply Newborn studio session to remove that pressure of perfection. 2. You love timeless newborn portraits in a simple studio setup, of just the baby. Babies are simple creatures. They are the definition of simplicity in tiny human form. I keep these studio sessions simple to allow that sweet energy to be captured. Simple (natural) poses, minimal props and neutral colors. If you enjoy clean, uncluttered simple backdrops, this session is perfect for you. 3. You like a more posed newborn session that incorporates props. Does your heart skips a beat when you see those dainty girly headbands? 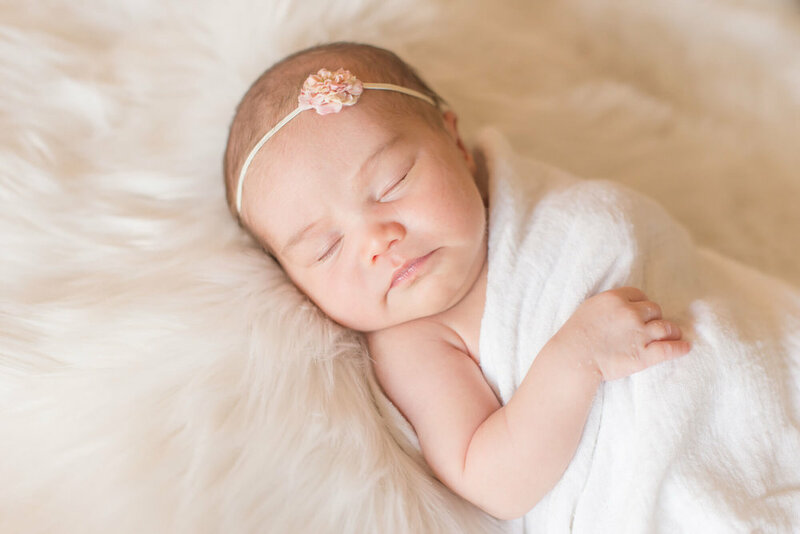 I have a beautiful collection of headbands, wraps, blankets and faux furs in the studio to pose your baby on. Are sleepy baby photos a goal? At the studio it's easier to get the baby to sleep because I keep it a toasty 80 degrees with white noise in the background. 4. Mama deserves a break. From the moment you step foot into my studio, you can just sit back and relax (with the exception of breast feeding babies). I will be your baby handler for the 1-2 hours we spend together. My Mom Lounge/viewing area is a place you can see what's going on but without the stress of always being in the photo or worrying about fussiness. Wi-Fi, snacks and reading materials are offered to help you zone out and let me know do my thang! 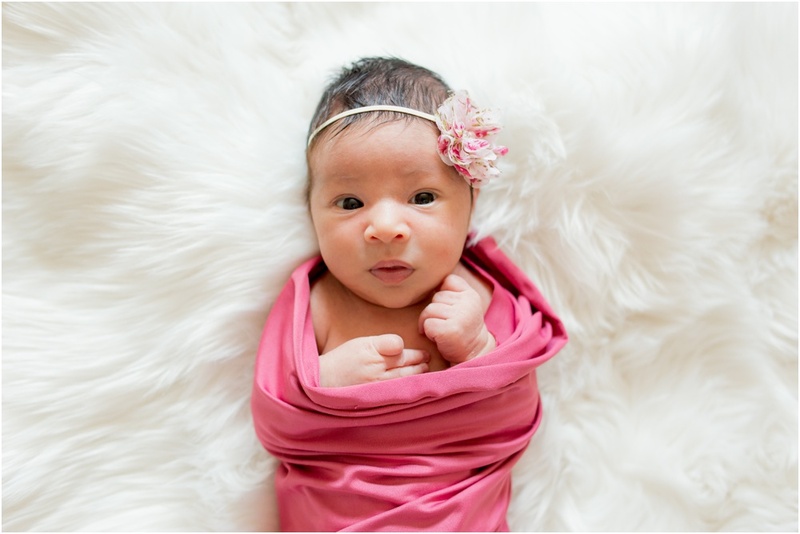 Does a Simply Newborn studio session feel like the right fit for how you would like to document your newborn? If so, get in touch while you're still pregnant. Simply Newborn studio sessions are penciled in on the calendar based on your due date (and the two weeks on either side of that date). Then as soon as your baby arrives, you let me know so we can select a date. It's important that studio sessions take place (ideally) within the first two weeks of baby's arrival, so don't delay!